Dandruff is known to be associated with Malassezia restricta, which is the most frequently isolated fungus from human skin. To treat the disease, zinc pyrithione (ZPT) has been used as an anti-dandruff ingredient in various anti-dandruff shampoos. There have been several studies that have investigated the mechanism of ZPT; however, they mainly used a non-pathogenic model yeast Saccharomyces cerevisiae and a different Malassezia species M. globosa whose contribution to dandruff is known to be minimal. The aim of the current study was to understand how ZPT inhibits the growth of M. restricta. We analyzed the intracellular metal contents of ZPT-treated M. restricta cells. The transcriptome profile of the ZPT-treated cells was also compared with that of untreated cells. The transcriptome changes caused by the ZPT treatment were confirmed by expression analysis of the proteins and by assessing the enzymatic activities. Our data show that the ZPT treatment dramatically increased the intracellular zinc levels along with a small increase of the intracellular copper content in M. restricta. This result was different from what was shown in the study using S. cerevisiae. However, similar to what was found in a previous study, our transcriptome analysis showed that ZPT inhibits Fe-S cluster synthesis in M. restricta. Apart from the above findings, we observed that ZPT treatment causes a significant reduction in the expression of lipases whose activities are believed to contribute to the survival and virulence of M. restricta on human skin. Overall, the results of our study suggest that at least three inhibitory mechanisms may be associated with the action of ZPT against M. restricta: i) an increase in the intracellular zinc levels, ii) the inhibition of the Fe-S cluster synthesis, and iii) a decrease in lipase expression. neoformans. He has also recently started to work on the human cutaneous fungal pathogen Malassezia, which causes various skin diseases including seborrheic dermatitis, dandruff and atopic dermatitis. 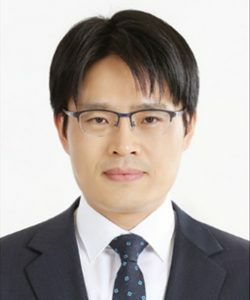 Dr. Jung obtained his PhD degree from University of Manchester (UMIST), U.K., where he worked on the cAMP signaling pathway in another human fungal pathogen, Candida albicans.